The study included 141 volunteers (mean age 48.78 ± 9.68, 24.82% with NAFLD) without pre–DM/DM at baseline. Both NAFLD on regular US (OR=2.93, 1.02–8.41 95%CI) and HRI (OR=7.87, 1.83–33.82) were independent predictors for the development of pre–DM, adjusting for age, gender, BMI, family history of DM, baseline insulin, adiponectin and glucose. Further adjustment for physical activity and dietary intake did not weaken the association. Furthermore, NAFLD was a stronger predictor for pre–DM than the metabolic syndrome. Subjects with both NAFLD and glucose =89 had 93.3% incidence rate of pre–DM. 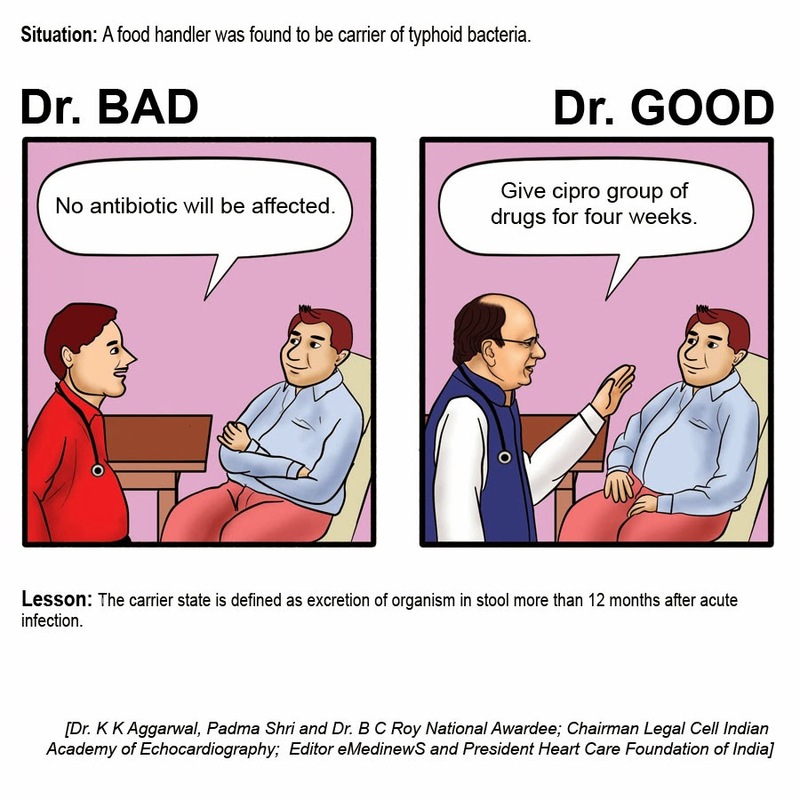 As per Medical Council of India Code of Ethics Regulations 2002, 1.2.2 – "For the advancement of one’s profession, every doctor should affiliate with associations and societies of allopathic medical professions and involve actively in the functioning of such bodies." It is, therefore, recommended that one should become member of Indian Medical Association which today has a membership of over 2.2 lakhs spread over 1700 branches. Today, IMA is the largest NGO in the world. To convince the government to change policy, to fight for the rights of the doctors, to update the knowledge of the medical professionals and providing skill based training, IMA today is the only association which can be relied upon. Today IMA practically is in every government policy making committee. IMA works under 3–tier system – by becoming a member of IMA, you not only become a member of the parent body but also member of the State Medical Association and a member of the local branch within the state. Therefore, an IMA member is entitled to all medical educational programmes and receive scientific communications from all three levels. A medical association is not just walls of a building but it is the collective consciousness of its members. It is, therefore, not only important to become a member but also to get involved in the effective functioning of IMA at all three levels. IMA also has its wings like IMA Academy of Medical Specialties, which deals with multiple specialties under one roof. While for a cardiologist, Cardiological Society of India may update his⁄her knowledge in cardiology but it is the academy of medical specialties which provides update in all other specialties under one programme. Similarly, for general practitioners, there is the IMA College of General Practitioners in which family physicians can update their knowledge, undergo training, get fellowship courses like FCGP and also join many other international collaborative training programmes. IMA under Dr. A K N Sinha Institute also provides certificate course for IMA members, which not only update knowledge but also add to one's qualification. For doctors who own medical establishments, IMA has separate Hospital Board of India which not only guides them in how to run an establishment but also helps in their accreditation for better and effective patient care. The Hospital Board also looks after the interest of the doctors when it comes to mediclaim reimbursement, implementation of PNDT or CEA acts etc. 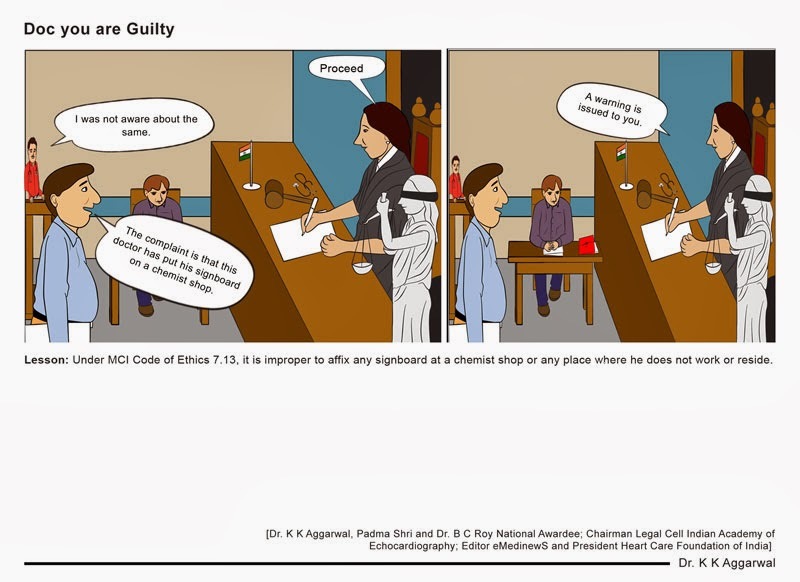 For the dependents of doctors, IMA has a special IMA Benevolent Fun. Members even can avail loans from this fund to meet some unpredictable emergencies. IMA also has a social security scheme for the welfare of its members with an objective of providing assistance to family members in the event of death. IMA regularly honours its members through various awards which are at all levels - national, state and branch levels. Members who are aspiring to lead can become an office bearer of the branch, state or national association and also represent IMA Decision Making by becoming a member of the Central Council or the Working Committee. IMA also provides study tours within the country or abroad for professional interactions. For those who wish to become research scholars, the academic wings of IMA provide them with such opportunities. The academic wings of IMA also regularly upgrade the surgical and diagnostic skills of its members. IMA also negotiates with various vendors from time to time and provide its members concessional rates for insurance, house loans, professional loans, cars etc. Today all doctor Members of Parliaments, doctor politicians, doctors in important positions are members of IMA. You can only become a member of IMA through a local branch. To become a member you must find a local active branch in your geographical area and submit a form along with a fee. The membership form can be downloaded from website www.IMA-india.org. The IMA is offering discounts as a part of membership drive till 31st June, 2014. If you are not a member today, become one and also pass on the message to other colleagues to become members of IMA. 4. Liking as the four phases of any relationship. You get married you are euphoric, once the honeymoon is over you react with each other, over a period of times you start adjusting with each other and it may take seven years before you start liking each other. Employee "A" in a company walked up to his manager and asked what my job is for the day? The manager took "A" to the bank of a river and asked him to cross the river and reach the other side of the bank. "A" completed this task successfully and reported back to the manager about the completion of the task assigned. The manager smiled and said "GOOD JOB". Next day Employee "B" reported to the same manager and asked him the job for the day. The manager assigned the same task as above to this person also. The Employee "B" before starting the task saw Employee "C" struggling in the river to reach the other side of the bank. He realized that "C" has the same task. Now "B" not only crossed the river but also helped "C" to cross the river. "B" reported back to the manager and the manager smiled and said "VERY GOOD JOB". The following day Employee "Q" reported to the same manager and asked him the job for the day. The manager assigned the same task again. Employee "Q" before starting the work did some home work and realized "A", "B" &"C" had all done this task before. He met them and understood how they performed. He realized that there is a need for a guide and training for doing this task. He first sat and wrote down the procedure for crossing the river; he documented the common mistakes people made, and tricks to do the task efficiently and effortlessly. Using the methodology he had written down, he crossed the river and reported back to the manager along with documented procedure and training material. The manger said "Q" you have done an "EXCELLENT JOB". The following day Employee "O" reported to the manager and asked him the job for the day. The manager assigned the same task again. "O" studied the procedure written down by "Q" and sat and thought about the whole task. He realized that the company was spending lot of money in getting this task completed. He decided not to cross the river, but sat and designed and implemented a bridge across the river and went back to his manager and said, "You no longer need to assign this task to any one". The manager smiled and said "Outstanding job ‘O’. I am very proud of you." What is the difference between A, B, Q & O? Many a times in life we get tasks to be done at home, at office, at play. Most of us end up doing what is expected out of us. Do we feel happy? Most probably yes. We would be often disappointed when the recognition is not meeting our expectation. Let us compare ourselves with "B". Helping someone else with the problem often improves our own skills. There is an old proverb (I do not know the author) "learn to teach and teach to learn". From a company point of view "B" has demonstrated much better skills than "A" since one more task for the company is completed. Initiative pays off everywhere whether at work or at personal life. If you have initiative you will succeed. Initiative is a continual process and it never ends. This is because this year’s achievement is next year's task. You cannot use the same success story every year. The story provides an instance of performance, whereas measurement needs to be spread across at least 6–12 months. Consequently performance should be consistent and evenly spread. Out–of–Box thinkers are always premium and that is what everyone constantly looks out for. Initiative, Out–of–Box thinking and commitment are the stepping stone to success. Dr. Pawan K. Singal, PhD, DSc. Director, Institute of Cardiovascular Sciences, St. Boniface Hospital Research Centre, University of Manitoba, Winnipeg, Canada. Dr. Pawan Singal is a professor of Physiology and is Director of the Institute of Cardiovascular Sciences, St. Boniface Hospital and the University of Manitoba, Winnipeg, Canada. Dr. Singal completed his B.Sc. Hons (1968) and M.Sc. in Biophysics (1970) from Punjab University, India; Ph.D. in Physiology in 1974 from the University of Alberta. After 3 years in Saskatoon, Canada, as a Post–Doctoral Fellow of the Medical Research Council, Dr. Singal joined the Physiology Department at the University of Manitoba as a lecturer, rose through the ranks and has been a professor since 1990. Received D.Sc. degree in 1994 in Cardiovascular Pathophysiology. He served as Associate Dean for the Faculty of Graduate Studies, University of Manitoba. He is also holder of the Naranjan S. Dhalla Chair established by the St. Boniface Hospital & Research Foundation. Internationally known for his work on oxidative stress and heart failure, Dr. Singal has made significant contributions in our understanding of the role of cytokines in the sequelae of heart failure due to doxorubicin, chronic pressure overload as well as myocardial infarction. He has published 258 papers, has co–edited 30 books and trained more than 100 students, fellows and visiting scientists. He has been the recipient of more than one million dollars in competitive scholarships and career awards as well as more than 10 million dollars in research grants over a period of 20 years from different agencies including the Heart and Stroke Foundation, Medical Research Council and Canadian Institute for Health Research. He has received more than 70 national and international recognitions. The University of Manitoba has established an award in his name called ‘Pawan K. Singal Award for Graduate Students in Cardiovascular Sciences’. His name has been added to the Wall of Fame in the University Centre at the University of Manitoba recognizing his outstanding teaching skills and research. Dr. (Prof.) S.C. Tiwari is MBBS. 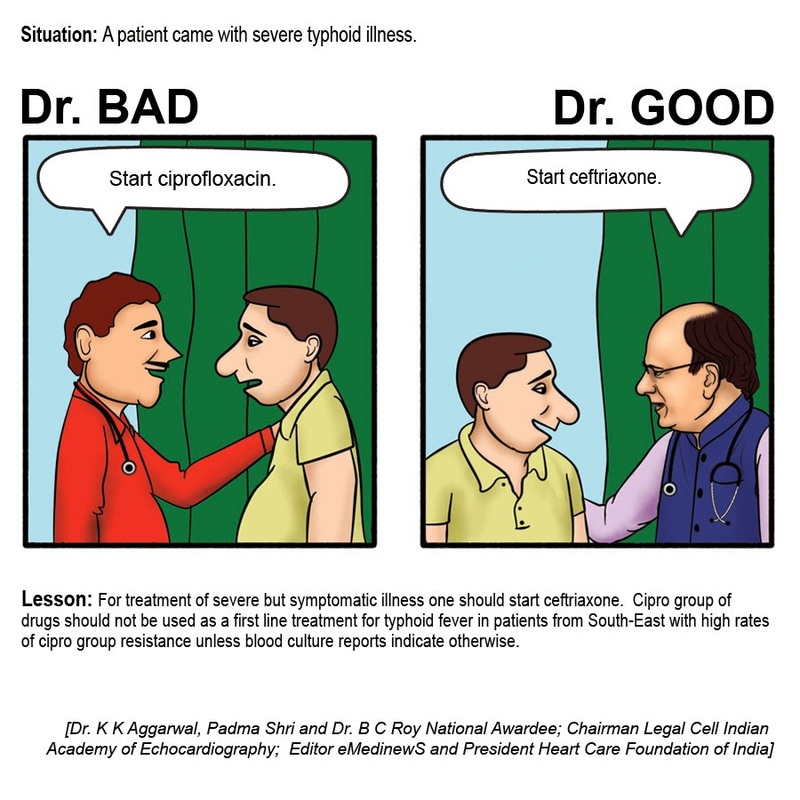 MD (Medicine) and DM (Nephrology). Dr Tiwari is Gold Medalist and First in the University at Ravishankar University, Raipur. He did his DM Nephrology from PGIMER Chandigarh in 1977. Dr Tiwari served as the faculty member (Lecturer in Medicine) at Sewagram Wardha from 1979 till September 1980. He joined the prestigious All India Institute of Medical Sciences as the Lecturer in Medicine in September 1980 and served there as Assistant Professor of Medicine and Additional Professor of Medicine till 1996. He became the Professor of Nephrology and shifted to Department of Nephrology also looking after the medical cases. He served at the All India Institute of Medical Sciences, New Delhi till 2009, for about 30 years as a faculty member. He then took premature retirement and joined the Rockland Hospital as Chief Consultant and Director Nephrology. During the tenure of Dr Tiwari at AIIMS, the Dept. of Nephrology was adjucated best in the country for consecutive 3 years, He is an excellent clinician of repute. He has more than 300 publications in National and International Journals. He has been Chief Editor of Journal of Renal Sciences and in the Editorial Board of many national & international scientific nephrology journals. His main areas of clinical interest to name a few i.e. dedicated patients care on holistic way, Geriatric nephrology preventive nephrology, Hypertension and its control, Diabetic Nephropathy, Acute Renal Failure, Dialysis and Kidney Transplantation. Topic: Role of Protease Activation in Ischemia–Reperfusion Injury in the Heart It is now well established that both calpains and matrix metalloproteases (MMPs) are activated in the heart during the development of ischemic-reperfusion injury. By employing isolated rat hearts, subjected to 30 min ischemia followed by 30 min reperfusion, we have shown that the depressed contractile function was associated with marked increases in calpain and MMP–2 activities as well as reduced sarcoplasmic reticular Ca2+–pump and sarcolemmal Na+–pump activities. These alterations in cardiac contractile behavior, proteolytic activities and subcellular function were not only dependent upon the concentration of extracellular Ca2+ but were also simulated upon perfusing the hearts with an oxyradical generating mixture as well as with an oxidant, H202. Furthermore, the ischemia–reperfusion induced abnormalities in cardiac function, activation of proteolytic enzymes and defects in subcellular activities were attenuated upon treatment with antioxidants (N–acetylcysteine and mercaptopropionylglycine) as well as with inhibitors of both calpain (MDL 28170) and MMP–2 (doxycycline) activities. These observations support the view that oxidative stress as well as the activation of proteolytic enzymes and subcellular defects plays a critical role in cardiac dysfunction due to ischemia–reperfusion injury. (Supported by a grant from the Canadian Institutes of Health Research). Aims and objectives: To study the early outcome of patients with chronic kidney disease on hemodialysis (CKD on HD) undergoing cardiac surgery. Methods: The mortality rate for patients on hemodialysis is 20% per year. Approximately 50% of deaths among these patients are due to a cardiovascular cause. We include 26 consecutive patients (CKD on HD) from January 2009 to Oct 2013. 22 were CABG (all offpump with 2 ACS, one each for AVR, DVR, CABGx4+MVR, RA Myxoma. The patient outcome was defined in terms of mortality, morbidity, ALOS, periprocedural complication. Results: In–hospital and initial 30 day–mortality were 0%. Only 1 patient had sternal dehiscence on 4th week due to avascular necrosis of left sternum. Alos was 9.19±3.23 days, graft⁄patient were 3.05⁄patient (range 2–4) and minimal PRBC requirement. Minor skin site infection was 20%. No culture positive systemic infection. Amongst all cardiac surgery 59.03% patients in 2011 and 60.69% patients in 2012 did not require any blood transfusion. Good preoperative, intraoperative, postoperative care and prevention of risk factors (Infection, need for blood transfusion, prolonged ventilation, re–operation or Reopening, stroke, increased length of hospital stay) are factors responsible for good results. With over 2,400 new cancer cases, including stomach, lungs and cervix, being detected in last two years in Mizoram, the state tops the list in overall cancer incidence in the country, according to a latest report of the Indian Council for Medical Research (ICMR), as reported in Business Standard, dated February 4. At least 2,483 fresh cancer cases have been detected in the state during the past two years, the latest Mizoram population-based Cancer Registry report published by ICMR said. According to the report, Mizoram topped the list in the overall cancer incidence as well as in stomach and lungs cancer (in men and women) and in Cervix cancer in women in the country. Is there any specific treatment for clinical rabies? Sewa, Simran and Sangat are the three principles of life as per the most Vedic literature. Even Adi Shankaracharya described Sangat as the main force for living a spiritual life. Sangat is the company of people you live with. Living in the company of good people makes one good and the reverse is also true. The same is now being proved in the allopathic context. A new research published in the New England Journal of Medicine has shown that when one person quits smoking, than others are likely to follow. One person quitting can cause a ripple effect, making others more likely to kick the habit. If your spouse stops smoking, you’re 67 percent less likely to continue smoking. If your friend kicks the habit, it’s about 36 percent less likely that you’ll be smoking. When a sibling gives up cigarettes, your risk of smoking decreases by 25 percent. Your risk of smoking drops by 34 percent if a co–worker in a small office quits smoking. It’s sort of like watching dominoes. If one falls, it very quickly causes others to fall. We should treat people in groups, rather than as individuals. Friends and family need to be involved. If you want to quit, try to get close friends and family to quit as well. Quitting smoking may have the side benefit of improving social well–being, just as it improves physical health. The addition of evolocumab (Amgen, Thousand Oaks, CA) to a statin, compared with a statin alone, significantly lowered LDL–cholesterol levels in patients with primary hypercholesterolemia and mixed dyslipidemia, according to the top-line results of the LAPLACE-2 study announced this week. The full results of LAPLACE–2 will be presented by Dr Jennifer Robinson (University of Iowa, Iowa City) on March 30, 2014 during the late-breaking clinical–trials session of the American College of Cardiology Scientific Sessions in Washington, DC. Evolocumab is an investigational human monoclonal antibody for proprotein convertase subtilisin–kexin type 9 (PCSK9). A new study has shown that when oxidized at a specific site on apolipoprotein A1 (apoA1), HDL cholesterol becomes dysfunctional and proinflammatory . Importantly, the group also found that this dysfunctional apoA1 accounts for 20% of apoA1 in arteries diseased with atherosclerosis. In the study, published online January 26, 2014 in Nature Medicine, Dr Ying Huang (Cleveland Clinic, OH) and colleagues report that apoA1, the primary protein that makes up approximately 75% of HDL particles, is oxidized by myeloperoxidase (MPO) at Trp72, and such oxidation impairs the cardioprotective functions of HDL. The US FDA has approved the use of the Dexcom G4 Platinum continuous glucose monitor has been expanded to include children ages 2 to 17. The approval was granted despite results from a pivotal trial in which the monitor didn’t perform as well in children as it did in adults in two key measures: accuracy and safety. That prompted the FDA to add two warnings onto the device’s label to highlight those risks, noting that it was less accurate in children compared with adults and that its hypoglycemic detection alert was not reliable in children. According to the label warning, children using the device should still undergo regular fingerstick monitoring and should use an additional hypoglycemic detection system. FDA noted that it hasn’t approved the use of continuous glucose monitors alone to determine the necessary doses of diabetes medications that a patient must take. These monitors still need to be calibrated using fingerstick glucose meters, the agency said, and insulin should be given based on those fingerstick readings as well. While the adult device must be worn in the abdomen, the children's monitor can be worn either the upper buttock or the abdomen. Chromium supplements improve preterm infants’ glucose tolerance and therefore their ability to absorb calories, researchers said January 19 at the annual meeting of the American Society for Parenteral and Enteral Nutrition in Savannah. Tension headache, usually develops in the afternoon, causing mild or moderate pain that may feel like dull tightness or a band of pressure. Tension headaches occur when neck, shoulder, and scalp muscles become tense. If you often suffer from headaches, more than once or twice a week, then try the following, said Padma Shri & Dr. B C Roy National Awardee, Dr. K K Aggarwal, President Heart Care Foundation of India and Senior National Vice President, Indian Medical Association. Learn physical and relaxation therapies. Apply heating pad to the neck and shoulders to relax the muscles. Exercise the muscles of neck and shoulders by strengthening and stretching them. Relaxation exercises that focus your attention on various parts of your body in order to relax and release tension and stress can also help. Learn Biofeedback relaxation techniques. Learn to recognize when you are becoming tense and then find ways to relax the muscles before they tighten so much that you develop a tension headache. Identify trigger points, at the back of the neck or in the shoulders. Injecting a local anesthetic into these areas may eliminate the pain and prevent headache. About HCFI : The only National Not for profit NGO, on whose mega community health education events, Govt. of India has released two National Commemorative stamps and one cancellation stamp, and who has conducted one to one training on" Hands only CPR" of 86083 people since 1st November 2012. The extent to which ionization of a drug takes place is dependent upon pKa of the drug and the pH of the solution in which the drug is dissolved. Which of the following statements is incorrect? 2.Small changes of pH near the pKa of a weak acidic drug will not affect its degree of ionization. 4.Phenobarbitone with a pKa of 7.2 is largely ionized at acid pH and will be about 40% non-ionized in plasma. Answer for 4th February Mind Teaser: 1. The lying down position. "Mummy, Mummy!" called Little Johnny one day. "Do you know the beautiful vase in the dining room that’s been handed down from generation to generation?" "Yes", said his mother. "What about it?" "Well the last generation just dropped it." Situation: A diabetic hypertensive was denied a beta–blocker because of the traditional teaching. Lesson: Make surethat diabetics are not denied beta–blockers when indicated. Nebivolol has no side effect on glucose metabolism unlike atenolol.